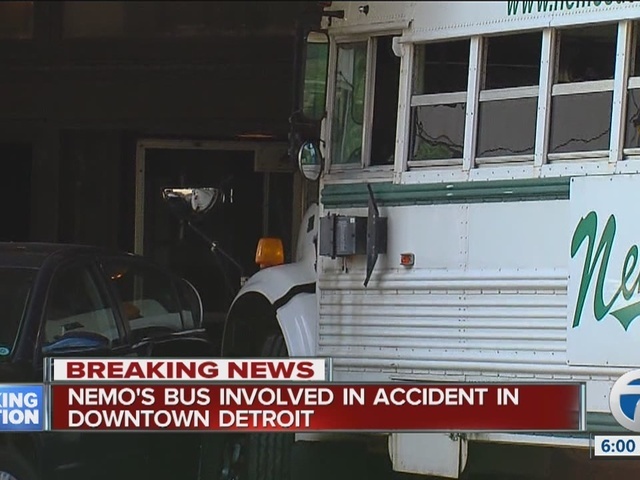 Detroit police are on the scene investigating after a Nemo's Bar bus carrying passengers was involved in an accident in downtown Detroit on Sunday afternoon. It happened at Cass and Bagley. 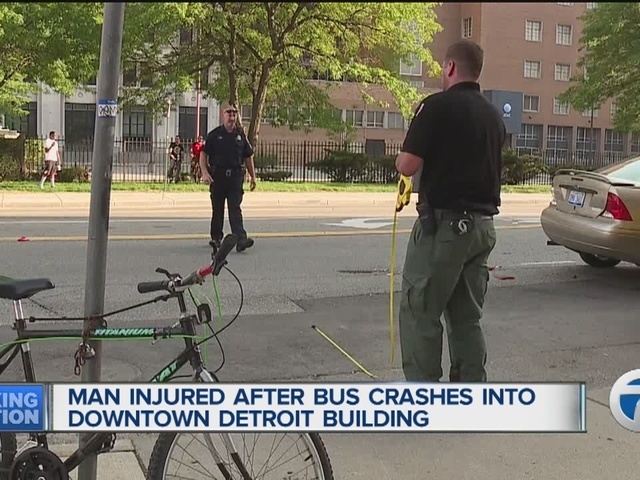 The bus was coming from a Tigers game when the driver crashed into the Leland Apartment complex. According to witnesses, the driver was trying to swerve to avoid another vehicle that cut in front of her. Sources tell 7 Action News an elderly man was struck by the bus and is hospitalized in serious condition. There are also a few others injuries. Police are not yet saying who was at fault.